The new documentary “Charm City” is a gripping portrayal of “violence interrupters” who risk their lives to stop the killing in America’s deadliest city. 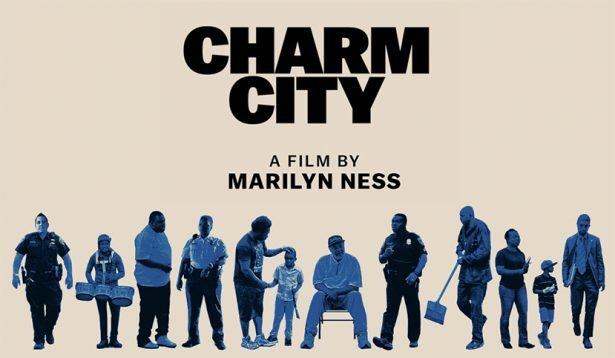 Marilyn Ness’s powerful new PBS documentary “Charm City” is a devastating and gripping portrayal of life in Baltimore, Maryland, America’s deadliest city. Through interviews and testimonies, it tells the stories of citizen “violence interrupters” who risk their lives to stop the killings, and of the politicians and cops struggling to change a broken system. It offers an alternative to the victim blaming or “tough on crime” narratives typically portrayed in the media, and shines a light into the lives of those impacted by the city’s seemingly endless cycle of violence. “Charm City” was filmed over three of the deadliest years in Baltimore’s history, soon after Freddie Gray was killed in police custody in 2015. The 25-year-old’s death sparked mass demonstrations and prompted many to question why so many black men were being killed at the hands of police. Ness got permission from the Baltimore Police Department to embed with its officers. Some of the most poignant scenes offer first-hand footage of drug busts and officers responding to overdoses or murders, day after day, without seeing any change. Police go to work everyday, Ness said, and are asked to deal with “long term economic and social issues like joblessness, homelessness, poverty, violence, generational violence and trauma … and [they] wonder why we can’t fix it.” Ness said she has a 2016 Waging Nonviolence article titled “Policing isn’t working for cops either” pinned to her bulletin board. The police department is currently under federal consent decree, and eight officers were sentenced to decades in prison this year for robbing and stealing from civilians for years with impunity. “Charm City” won’t be accused of glorifying Baltimore’s police department like the recent HBO documentary “The Uprising.” That film was panned in one review for showing a detective who investigated Freddie Gray’s death celebrating the acquittal of fellow officers who were charged with killing him. Instead, Ness shows the state’s attorney telling an officer over the phone that they are dropping charges against a suspect because the police illegally searched his possessions. The young man was picked up for another alleged crime later in the film. The protagonists include Clayton Guyton, who goes by Mr. C, a former corrections officer who quit his job two decades ago to set up the Rose Street Community Center. The center helps link local residents with jobs and social services — as well as resolve conflicts before they escalate to violence — in the shadow of the world-renowned Johns Hopkins Hospital in east Baltimore. In an opening scene, Guyton holds court on the steps of the community center surrounded by a dozen young to middle-aged men, urging principles of nonviolence, but also demanding those who take innocent lives be held accountable for their actions. On a basic level, Guyton says he hopes the film shows “people they have value,” and encourages them to “treat people like you want to be treated.” He also believes policy changes are needed to address the crisis. “I do believe if people [in government] start listening to those on the ground, they can implement what they learned in policies, and it will make a difference,” he said. The film shows him giving back to the young people in his community: helping deescalate disputes that too often lead to violence or murder, cleaning up the neighborhood and helping Mr. C connect local community members with employment opportunities. Long has had several negative interactions with police, including witnessing his family members being unfairly stopped and harassed by officers. In the most heartbreaking moment of the film, even Long, who has dedicated his life to preventing killings, loses a loved one to gun violence. He then questions why politicians and police officers, with all the resources they have at their disposal, can’t keep people safe. He says the film is already making an impact, as the Baltimore Police Department has begun using it to train officers, one can hope, on how not to treat civilians. “Charm City” also goes into the halls of power to show the challenges of trying to change the system from within. In one scene, City Council President Jack Young demands some measure of accountability of overtime spending from the police force, which frequently overruns its $500 million budget. The city spends more on policing than social services, like schools and health care combined. The request is approved anyway. When a “mandatory minimum” gun law is proposed to curb a surge in fatal shootings, Councilman Brandon Scott opposes it, saying it would do more harm than good, because it would increase incarceration and not address the root causes of violence. Scott also brings together police and city youth to help build understanding between the two groups, who are often at odds — something brought to the forefront in the uprising after Freddie Gray’s death. It’s hard to separate present day Baltimore, with its epidemic of violence, from its history. And even though the film begins to explore these themes in a powerful, meaningful way, it could go deeper. For example, Baltimore pioneered racial segregation over a century ago, and separate was not equal. African Americans were largely relegated to slum-like housing conditions and schools were abysmal. There was just one high school for African Americans — Frederick Douglass High — for the entire city until the 1940s. In the 1930s, the federal government created a map that redlined black neighborhoods. Today this map serves as a grim predictor of concentrated poverty and violence. Residents of majority African American communities were denied access to subsidized public housing and federally-guaranteed home loans that created the white middle class. Instead, the government segregated African Americans in less desirable neighborhoods, denying them an opportunity at the government-supported wealth-building opportunities afforded to whites. As scholar Richard Rothstein argues in his recent book, “The Color of Law,” because these government policies were racially discriminatory and therefore unconstitutional, they require government remediation beyond what has yet been rendered. When the city began to desegregate schools and neighborhoods, half a million white residents fled the city as part of “white flight,” taking the city’s tax base and the necessary funds to adequately fund schools and social services with them. A 2015 Harvard study found Baltimore to be the worst city for those growing up poor, in terms of social mobility. Today, white residents earn twice as much and are expected to live some two decades longer than their low-income black counterparts. Nationally, white households hold 16 times as much wealth as African Americans. While these historic injustices are essential to understanding why Baltimore is gripped by record violence and hopelessness, and could have received more attention in the film, it does show that people are organizing and fighting back despite immense odds. By showing this struggle, and putting a human face on the heart-wrenching toll it inflicts, “Charm City” should be taken seriously by concerned citizens and policy makers alike.